You may have noticed a dip in the number of blogs appearing on my site over the last couple of weeks. There is a very good reason for this. I’ve been neck deep in organising- with my two lovely colleagues- this year’s Tiverton Literary Festival! Only a week away now, the last minute rushing around and sorting out things to make sure the festival runs smoothly is in full flow! It’s amazing how many tiny tasks are involved in event organising, and I take my hat off to anyone who does it for a living. The line up really does offer something for everyone. We have poetry, romance, crime, writing workshops, a writer’s market, a children’s story trail, historical research, journalism, and even a tiny touch of erotica. To make the week extra special, we’d love to see you there too! 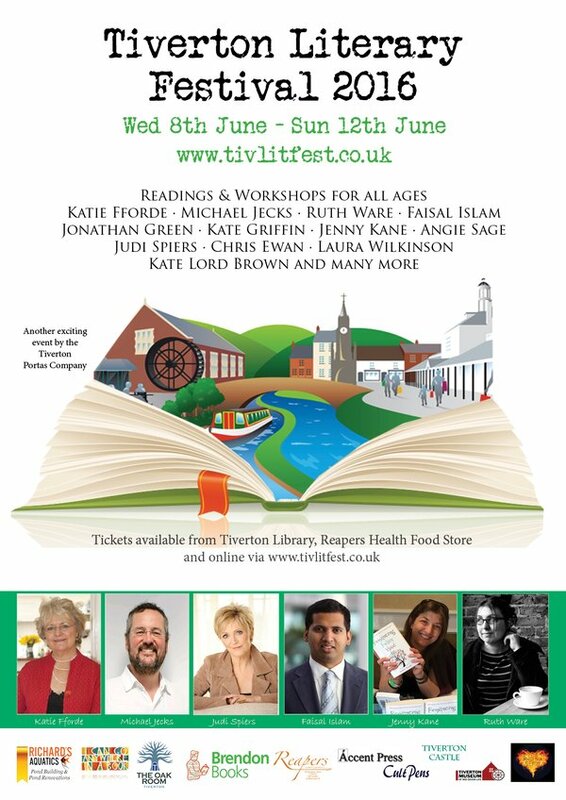 Tickets for the events can be purchased online from www.tivlitfest.co.uk, or (if you are local enough) from Reapers on Bampton Street, and Tiverton Library.